This ACE Store is located at the intersection of N State College Blvd and E La Palma Ave, across the street from the 76 Station. Orange County Transit Authority Bus lines #13, #38, #57 and #57x have stops at St College & La Palma w/b and at State College-La Palma, right in front of this location. Check OCTA’s website for more information. This ACE store is conveniently located next to Sycamore Plaza and McDonald’s. If you’re a resident of Platinum Triangle or the surrounding area, apply for an auto title loan powered LoanMart, especially if one’s looking for a quick and affordable way to get funding. A resident may qualify to borrow up to $30,0001 in as quickly as the next business day3. Here’s how it works: A person uses the free-and-clear title to their qualifying vehicle as collateral for an auto title loan powered by LoanMart. They look at several qualifying factors such as the vehicle’s equity and their ability to make consistent on-time monthly payments. They have terms ranging from 12 to 48 months, which gives people the time they need to get back on track! Option to refinance an existing auto title loan if they qualify. Encouraging all unique credit types to apply. Pay as early as you’d like without penalty fees5. Get funded as quickly as one business day3. Auto Title Loans Powered by LoanMart has a Reputable Lender! Having been in business since 2002, auto title loans powered by LoanMart continue to help people just like Platinum Triangle residents get the money they need. The experienced staff of auto title loan agents are available to assist anyone interested. Even if they are already approved for an auto title loan powered by LoanMart, there’s absolutely no obligation to proceed at any point. 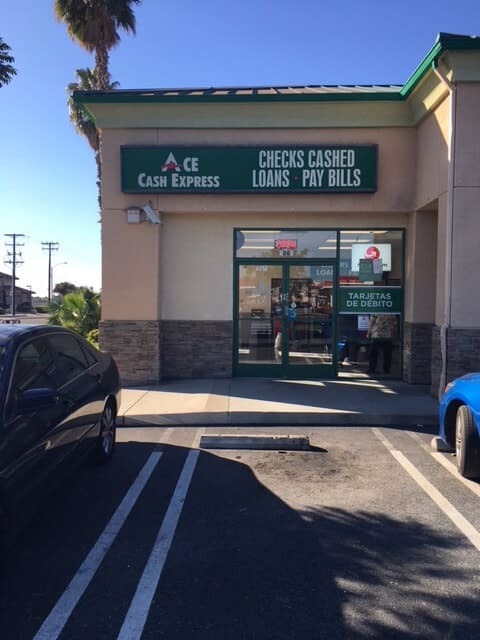 Once approval is finalized, their representative will inform one about how to get their auto title loan funding, courtesy of LoanMart and ACE Cash Express!